Safe to say I have found the best pizza located around the greater Las Vegas area. Just outside of Las Vegas is a town called Henderson. It is about a 20 minute drive from the Vegas strip. Located in this old Vegas town is one of the best pizza places I have encountered recently. Pizzeria Enzo is without a doubt worth leaving the strip for, in order to get some good pizza. Funny story how I actually came to learn about Pizzeria Enzo. I grew up in Long Island, where every shopping center has a pizza place. Normally every person swears by their local place, but we were fortunate enough to have a place called Raimo's nearby. I haven't met someone from the area who doesn't brag about the pizza here. Anyways, the owners son went to my high school, so I knew him in passing. 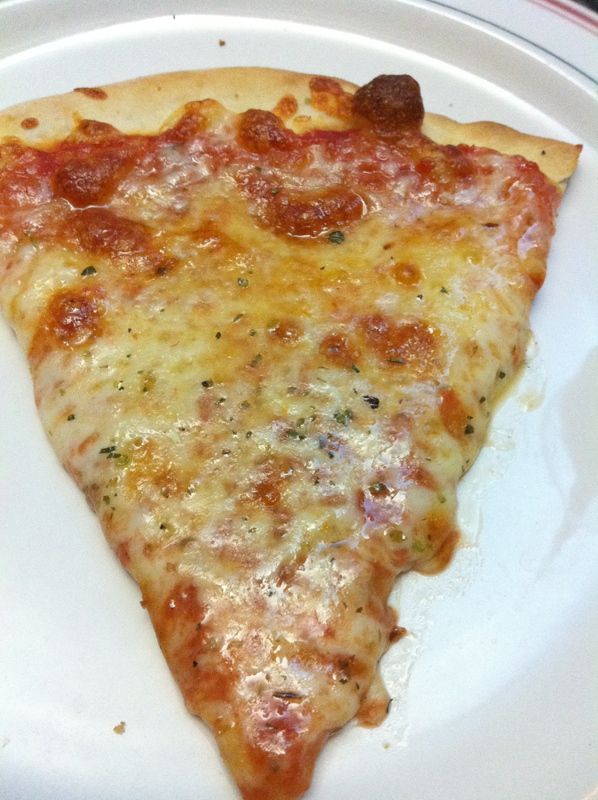 Recently I reviewed the pizza at Raimo's and of course, gave their Sicilian a high slice ranking (even though their website is as ugly as it could get). It really is some of the best out there. After my review posted here, I got an email from someone thanking me for the nice review, and that I should come out to Vegas and try a new place that opened up called Pizzeria Enzo. The sender later identified himself as the owner of Raimo's son. I instantly emailed Jerry (owner of Pizzeria Enzo) back to ask him if the pizza recipe is the same in the new place, and told him who I was. He couldn't believe that it was me who founded this site, and assured me I wouldn't be disappointed if I came out to visit his new place. I was up for the challenge, and while out in Vegas I made the trek over to taste his pizza. 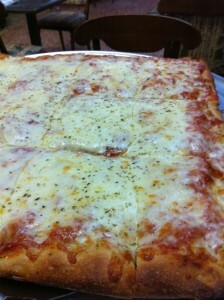 After a bit of catching up, Jerry went in to make me a fresh Sicilian pie. I warned him that there is no friendship when it comes to reviews on this site, and that if I didn't like it, I would have to report exactly how I felt on the site. He didn't seem phased by this, and stayed confident on the quality of his pizza. At first he brought out some delicious garlic knots to us while we waited, followed by a regular slice of pizza. The regular slice was great, but didn't give me the feeling of being back home eating at Raimo's. Jerry explained to me that he and his father altered the process a little bit, to deal with the different climate. When the Sicilian pie came out, my mouth started to water. It looked just like Raimo's, and I was praying it would taste as amazing. Well, it most certainly did taste INCREDIBLE. Jerry, you managed to blow me away, and my almost perfect review of your Sicilian has nothing to do with friendship, it has to do with taste. Your pie is a great example for pizza owners around the country to learn from. Here in the middle of the dessert, I have found an almost perfect slice of Sicilian pizza. No, it is not in New York, and it is not in Chicago, it is in Henderson, NV. The cheese was a mixture of grande and some others I suppose, and the crust was perfectly crisp on the bottom, airy and soft inside, and almost melted in my mouth. The sauce was almost identical to the taste of the sauce back home, and all-in-all this has been one of the better Sicilian slices I have tasted around the country. Jerry, you deserve the best, since you are serving the best, and I wish you many years of success there. Gamble with your money in a casino playing blackjack, but when it comes to pizza there is no need to gamble anymore in sin city! Pizzeria Enzo gets 7 out of 8 slices.